Get your ears ready to have their minds blown. 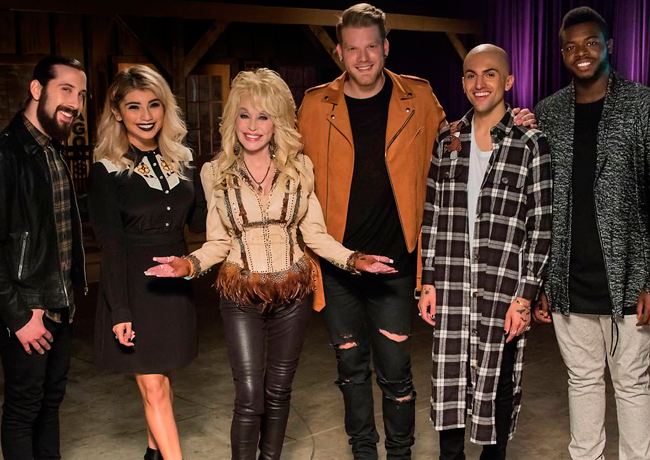 So that was a cappella superstars Pentatonix and country superstar Dolly Parton joining forces on one of Dolly’s biggest hits “Jolene”. And just… yowza! Love it! I’m a fan of a cappella. I’ve mentioned Pentatonix before and I love the Pitch Perfect movies. Why am I a fan? ‘Cause who needs instruments? If you’re in an a cappella group you ARE the instrument! All you need is some know-how, some resources, some hard work, the right people to get in on it and the will to make it happen. BTW, did you know that at the Civic Centre Resource Library we have a recording studio? *GASP! * It’s true! Check out our site here for more info on how to book and what’s involved.